The Avengers: Endgame Super Bowl TV spot has given birth to some major theories. 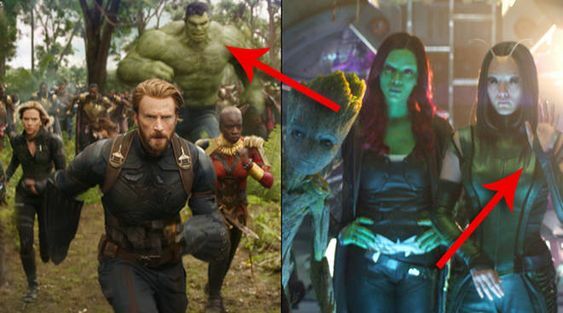 Eagle-eyed fans noticed shots that looked edited to remove characters from the image. We’ve already revealed who those characters might be, but in the minds of viewers, there’s nothing to even to theorise about. Thor: Ragnarok saw Thor with two eyes in the trailer. First, in Thor: Ragnarok photo collage we saw Thor unleash his power on Hela, with his eyes ablaze. “Eyes”, yes. In the movie, Thor lost his eye to Hela in the opening moments. Spider-Man got edited from the Civil War promo trailer. Then in Captain America: Civil War used early trailers to tease the conflict, as Cap’s faction of Avengers team went against Iron Man’s. They promotional footage edited out Tom Holland’s Spider-Man from the airport fight scene. Hulk got edited from the trailer of Avengers: Infinity War. Finally, in Infinity War, when Cap faces Thanos, the Mad Titan has all the number of Infinity Stones. However, Thanos’ collection was edited out of many shots in Infinity aware trailers. Moreover, Hulk wasn’t present during the battle of Wakanda sequence. So, it is highly possible that MCU is trying to hide something from us in the trailers. What do you think?